Both of these are just off the A533 London Road heading North into Northwich. 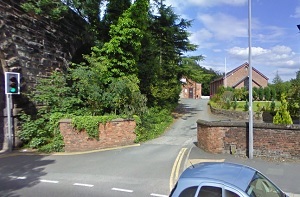 After passing the Weaver Hall Museum on your left, you will see the railway arch over the road. The entrance to the Polish Club is on the right just before the bridge. The second left turn after the bridge is Dock Road, which becomes Queen Street, and the Harlequin is halfway down on the left. From Northwich, go south to the A556 where you head towards N Wales & Chester. Carry on to the A49 crossroads. Turn left down the A49 Forest Road (direction Whitchurch), and in 600 yards turn right onto Overdale Lane. Oakmere Cricket Club entrance is 100 yards on the right.